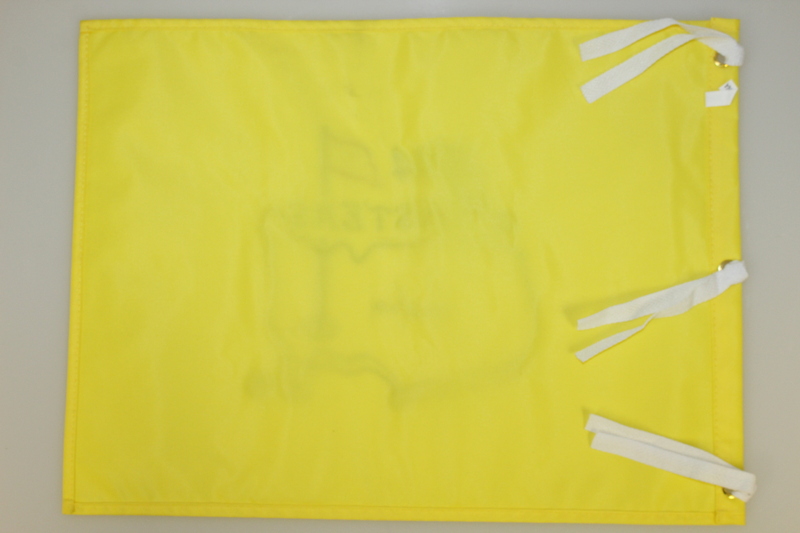 Trevor Immelman led or was tied for the lead after every round of the 2008 Masters Tournament, and finished three strokes ahead of runner-up Tiger Woods for his lone Major championship. 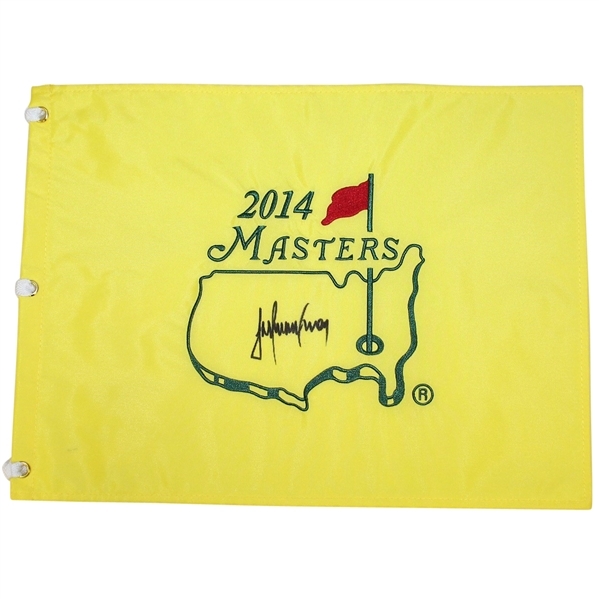 Offered here is a 2014 Masters Tournament embroidered flag signed by Immelman in black marker. Bubba Watson claimed his second Masters title in 2014.